Sometimes these things result in book tokens. Always I buy pretty books. June 2016 // check that colour scheme! Books know how to take a good picture, I'm just saying. This was a cracking book. I did not agree with everything she said -- namely, that a writer needs to have a mind “incandescent, unimpeded" by their problems, “with no desire to protest, to preach, to proclaim an injury, to pay off a score, to make the world the witness of some hardship or grievance", and that's why history produced so few great female writers, because women were generally so oppressed. 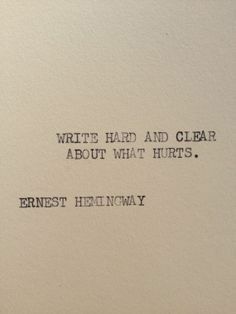 Whereas, surely, it is protest and pain that makes good writing? Suffering that makes art? A desire to speak about what is important to you? On The Beach At Night Alone by Walt Whitman // I wasn't a massive fan. But would read Whitman again. As I watch the bright stars shining, I think a thought of the clef of the universes and of the future." It lived in my heart -- the questions themselves, the very foreign tongue, the slightly messy underlining -- and then I stopped using my tumblr, but then, months later, what should pop up on Pinterest but the same image? And where had that person Pinned it from? My old redundant tumblr! And I smiled gleefully and Pinned it (and even now, only the two of us on the whole of Pinterest have it saved), and then I realised that the author of these lines, Rainer Maria Rilke -- whose name, when I first fell in love with them, I did not know -- was the Rilke from Wolves of Mercy Falls series by Maggie Stiefvater, whom Sam loves. The Wolves of Mercy Falls series / Sam / Rilke which I had been loving independently of this image, because I'd never made the connection! So you see, everything is connected. HOW CAN WE SAY HOW MUCH I LOVE THIS BOOK/AUTHOR/SERIES? Sinner was an absolute triumph, the perfect culmination for the wonderful Wolves of Mercy Falls. Click here for ALL MY FEELINGS. *If you read this and said, “Hamilton reference!" ... I like you. You can stay. I thought I'd end this post with my fave. Tales from Ovid was properly great, and River was absolutely wonderful, one of my favourite books this year. What is your most recent bookish purchase? What's been your favourite book of the year? (Now it is nearly over: it's legit snowing where I am.) And do you have any stories of bookish serendipity? Among the creatures of light, creatures of light." My favorite book was Johnathan Strange & Mr. Norell. It was huge, but I loved it. All of these pretty books, eep especially Sinner. I have been wanting to read that one for a while. I have had that book for longer than I care to admit, I can't wait FINALLY to jump into it! (And it has a protagonist called Jonathan. My #1 name crush!) SINNER IS PERFECTION. That's all. I just bought Gemina. WHICH I AM VERY EXCITED FOR. 😱🎉🎉 And omg favourite book of the year/?? Why are you asking such cruel questions. ;) Maaaybe The Serpent King. Or Crooked Kingdom. OR THE RAVEN KING HAHA WHO ARE WE KIDDING 100% THE RAVEN KING. (looks wistfully at the book-stack) I don't think I've bought a book since visiting that little second-hand store in Bangor, Wales! Speaking of Wales, How Green Was My Valley may be one of my top favourite books this year. SINNER IS AMAZING. STIEFVATER, STIEFVATER, STIEFVATER. Maybe for Christmas??? Don't cry! OOH, it looks like you got a ton of good books! 'Sinner' looks intriguing :D.
I am SO keen to read Nevernight after reading your review!!! Books in trees. *flails* *runs around in circles* BOOKS and TREES! My two favorite things! The last photo is my favorite if you've not gathered. Soooo, that Rilke pin. What board did you pin it too? Because I rather like it and want to pin it too. And now I want to read Rilke! And the Wolves of Mercy Falls. . .
Why are you doing this to me? Making me look at beautiful glorious books?! I want to read now. EMILY! I am aghast at my patchy blog behaviour in the last month or two. How in the world did I fall so far behind?? I can only imagine the backlog you're catching up on--in everything, not just blog comments! Yes, my sisters say the same thing about book 2! That it's their least favorite--not bad, necessarily, but not as good as the rest. Do you have a favorite Percy book? Hmmmm. I do really like The Lightning Thief, it's so cute ... but I remember LOVING The Battle of the Labyrinth and The Last Olympian even more, both FAB! And then the next series takes things up a level. I've read the first two and they're just pretty wonderful. Cannot wait to get into the next one soon!